I was so excited when I got my issue of Neurology Now magazine! 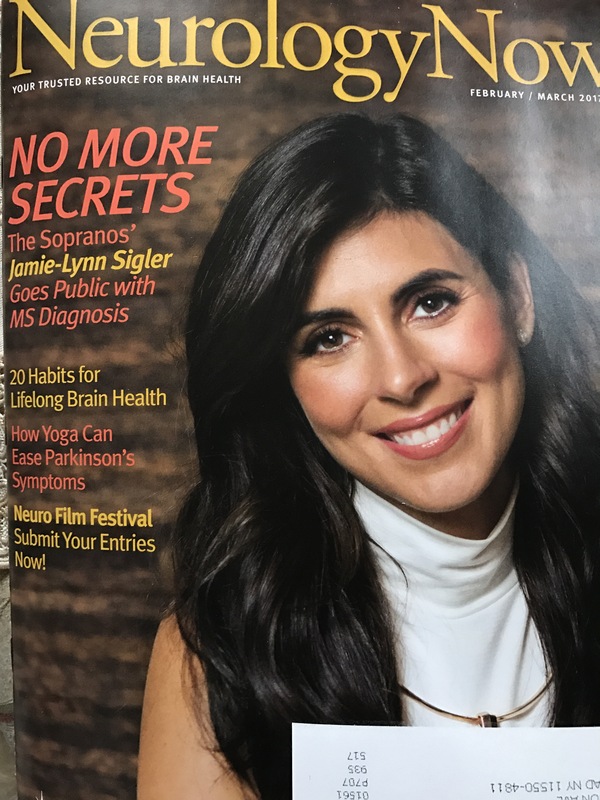 It features Jamie-Lynn Sigler, an actress who went public about her Multiple Sclerosis diagnosis. I’m so happy for Jamie-Lynn. I know opening up about MS wasn’t easy (especially as an actress) but it’s good for those who are scared to know that they are not alone. We are in this battle together. We are Mighty Strong! !